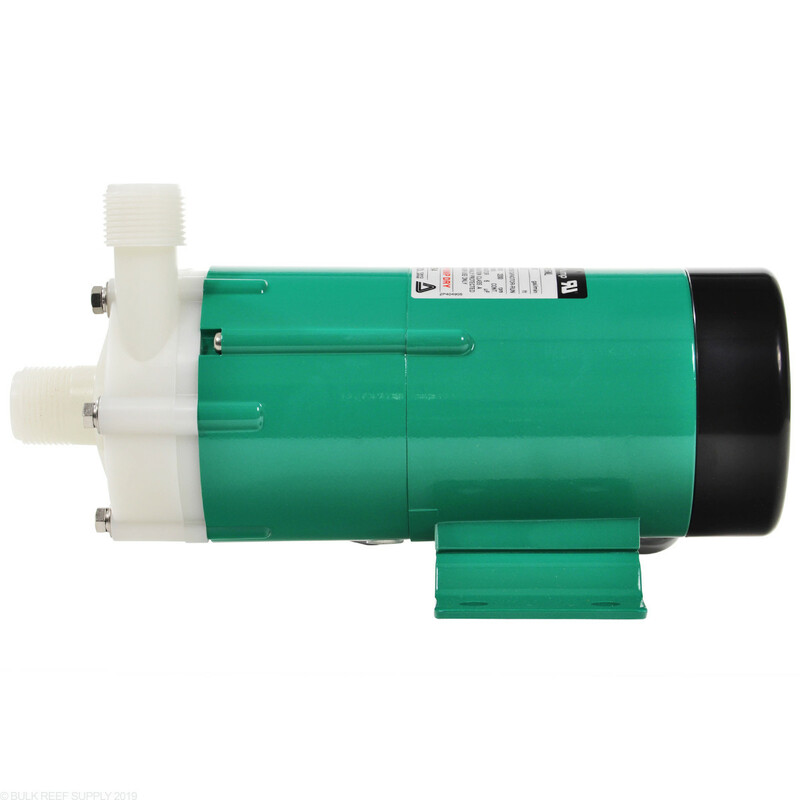 Anytime we need an external pump the Iwaki Japanese motors are our first choice. 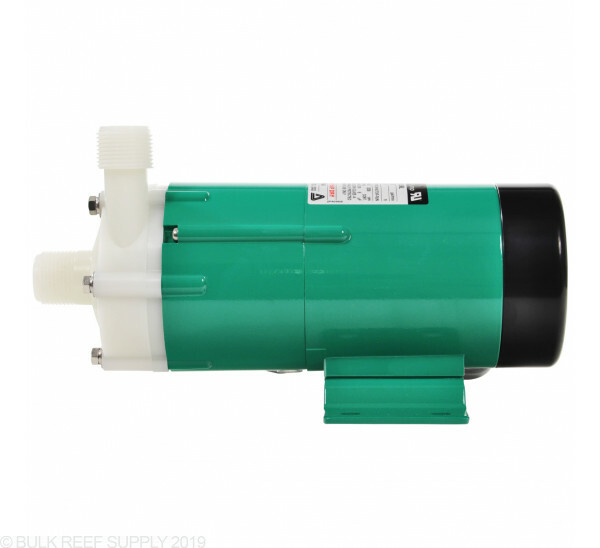 There are cheaper options that work just fine, however when it comes to noise the Iwaki Japanese external pumps are class leaders and for any area where noise a concern and space is limited. The Japanese Iwaki pump is the way to go. External pump from Iwaki, the world leader in small magnetically coupled centrifugal pump technology. 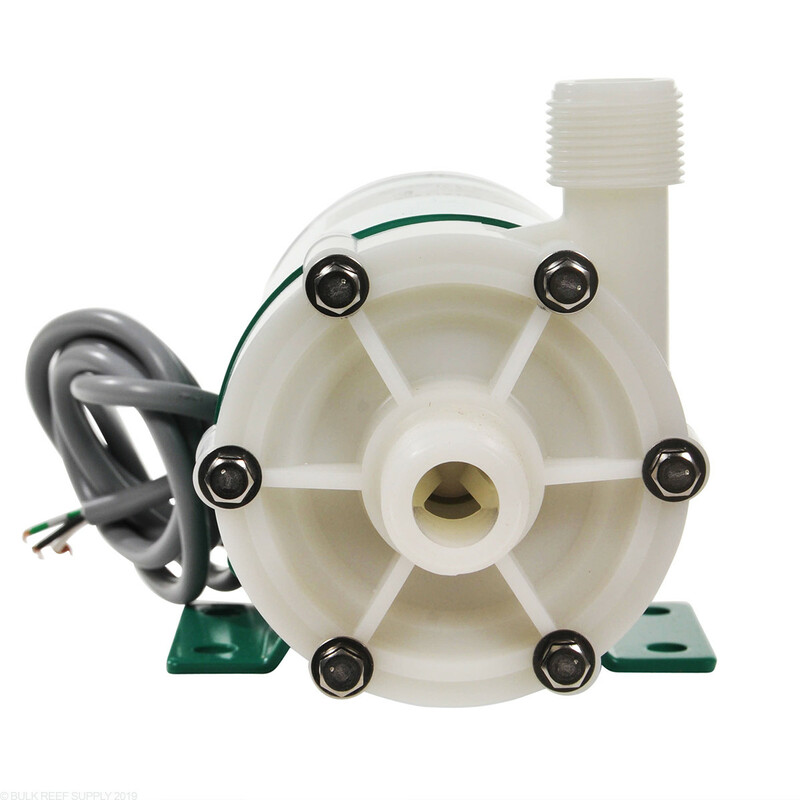 Japanese-made motor is designed especially for aquatic applications. Super quiet and energy efficient with less parts. 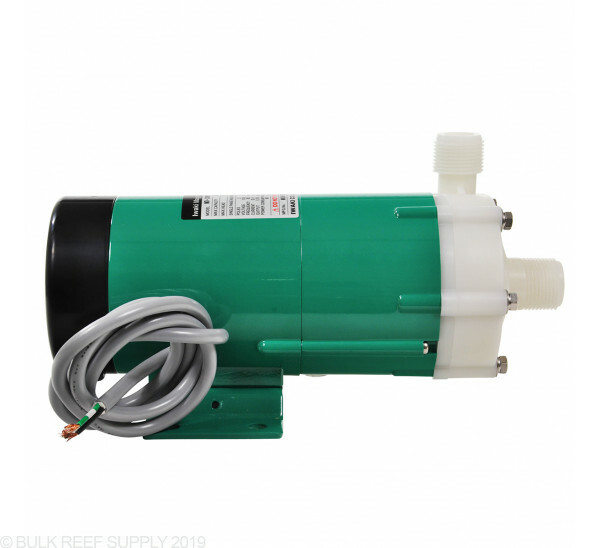 High quality external pump with years of research and development behind its design. Iwaki pumps offer high pressure rates in a durable, compact pump. Easily tailor pump applications because of the numerous motor/pump configurations. MD stands for Mag-Drive. Note: The Iwaki MD pumps' power cords do not come with the plug pre-spliced. Non-stop with rare cleanouts for 10 years pushing into my 75g tank. Latest motor/impeller etc check: can't see signs of wear. I've also got a WMD series which has a more open motor design not as resistant to salt. So this MD has been one dependable pump. Runs warm but it has that sealed motor design so kinda expect that. 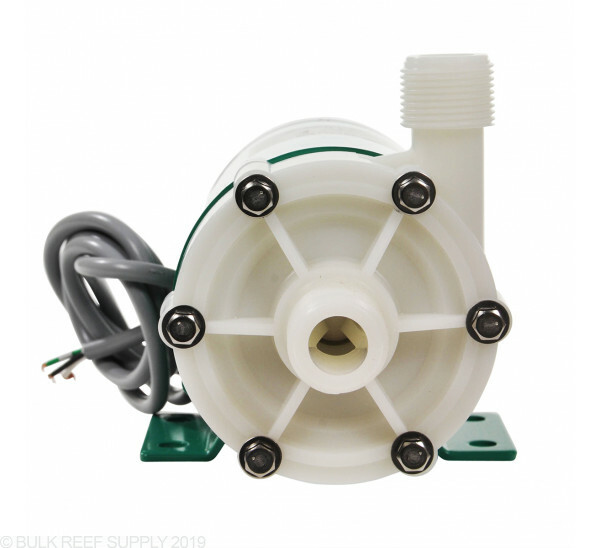 It is a quality pump, but I am not sure it is suitable for most aquarium setups. I am sure it can run fine without a fan in more open areas but in tight areas typical of aquarium setups it runs too hot. Strong, powerful, quiet...but it probably needs a small fan. I had to replace my Pan World pump, it was gumming up and stopped pumping a few times. I decided to spend more on this one and I'm glad I did. Very quiet. It doesn't have the fan that the Pan World pump has and that is probably a lot of the noise with that pump. This one runs very warm, but it won't melt anything. Get a rubber pad to absorb vibration with this one, as with all the metal mounting bracket.